On the eighth day, following the seven days of their annointing and inauguration for the Priesthood, Aaron and his sons begin to officiate as kohanim (priests); a fire issues forth from God to consume the offerings on the altar, and the divine presence comes to dwell in the Sanctuary. Aaron’s two elder sons, Nadav and Avihu, offer a “strange fire before God, which He commanded them not” and die before God. Aaron is silent in face of his tragedy. Moses and Aaron subsequently disagree as to a point of law regarding the offerings, but Moses concedes to Aaron that Aaron is in the right. 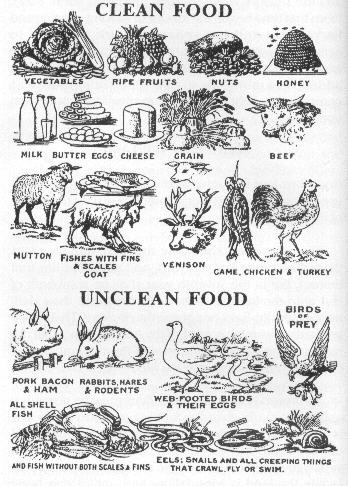 God commands the kosher laws, identifying the animal species permissible and forbidden for consumption. 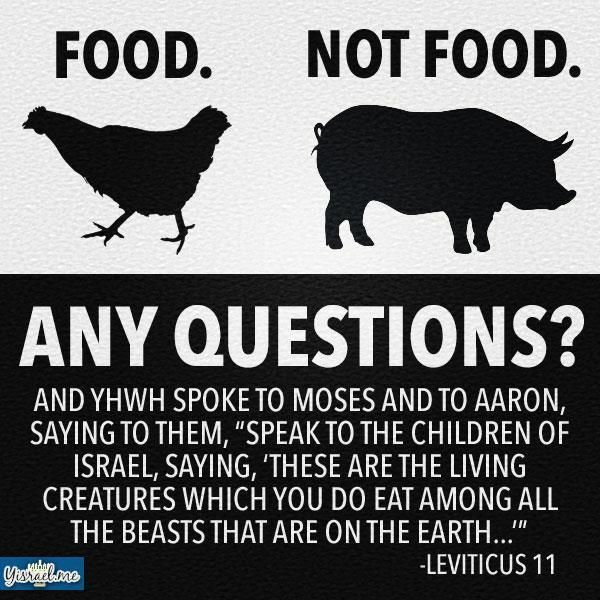 Land animals may be eaten only if they have split hooves and also chew their cud; fish must have fins and scales; a list of non-kosher birds is given, and a list of kosher insects (four types of locusts). This week’s haftorah mentions how Uzzah was struck dead when he disrespectfully touched the Ark of the Covenant; reminiscent of Nadab and Abihu‘s death described in this week’s Torah reading. 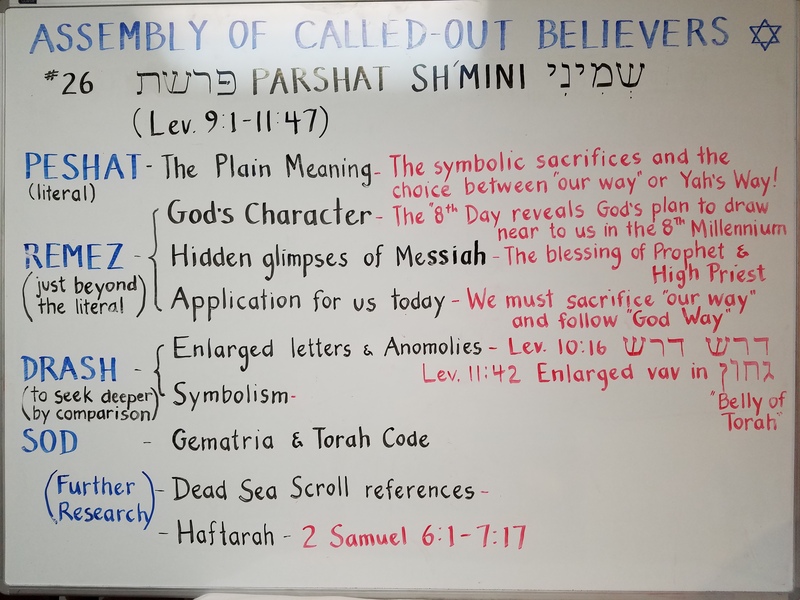 The Holy Ark had been in storage in the house of Avinadav for many years, ever since the destruction of the Tabernacle in Shiloh. Recently crowned King David decided to move the Ark to the new capital, Jerusalem. He had the Ark placed on a cart and it was transported amidst singing and dancing. When the procession reached Goren Nachon, the oxen misstepped and Uzzah, Avinadav’s son, took hold of the Ark to steady it—whereupon he was instantly killed.1 David was devastated, and he temporarily placed the Ark in the home of Oved-edom the Edomite, where it remained for three months. “And it was told to King David saying: ‘God has blessed the house of Oved-edom, and all that belongs to him, because of the Ark of God.’ And David went and brought up the ark of God from the house of Oved-edom into the City of David with joy.” The Ark was brought up to the city of David with great singing and dancing. David then blessed and distributed presents to all the assembled Israelites.